Earlier this week, we told you about Dreamworld's new DreamGlass augmented reality headset, a company founded by a former meta-manager. The device looks good and the features sound good, but is it worth your hard earned money? I recently took it for a quick spin to find out. The first thing you'll notice is how it feels light (240 grams, to be exact). And though it feels light, it does not feel cheap – the build quality is solid. And the connection of the headset to the Android smartphone was not as cumbersome as I had expected. In fact, I can imagine that the leash is still there even after prolonged use. What's the often-mentioned 90-degree field of view of the device As far as I'm concerned, I was impressed by the visual reality that the DreamGlass provided, as well as the quality of the AR interface and images. At some points, the latency came with a completely smooth experience in the way, but I was still so excited about the overall quality of the experience that I could ignore these little glitches (though it could become a problem with prolonged use). 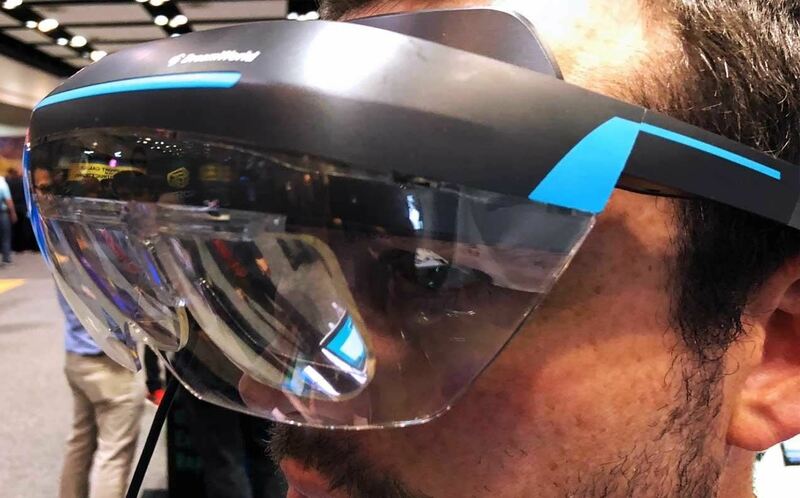 The setup that I used was the smartphone-connected dynamics, so it's possible that the latency problem I've experienced will be erased when the DreamGlass is connected to a Windows PC. Speaking of smartphone connectivity, it's important To point out that the device works on the Samsung Galaxy S8, S8 +, Note 8, S9, S9 + and on certain Huawei and HTC smartphones. As for iOS devices, a whisper in the wind at a recent tech conference told me to keep my eyes open in the future. But what impressed me most was the quality of the hand gesture recognition given the low cost of the DreamGlass ($ 399). Equipped with a 1080p front RGB camera and a microphone and an IR camera, the hand gesture recognition was not perfect, but damn good. Some of the demo interactions that are I experienced included a medical app that allowed me to use gestures to explode a human 3D model of the brain, an interactive robotic model that I could manipulate with my hands, and a 3D representation of the Earth, complete with information about the human brain selected locale. So let's talk to the question many people probably already ask: is this a better buy than something, say, the Meta 2, which costs $ 1,495? Well, although there are a number of similarities, at the end of the day the Meta 2 is simply in a different class when it comes to the quality of AR images, software and even overall quality. Anyone who tried It would be tempting to compare it, but at least now I think the DreamGlass has more work to do to get the quality of the Meta 2 experience. 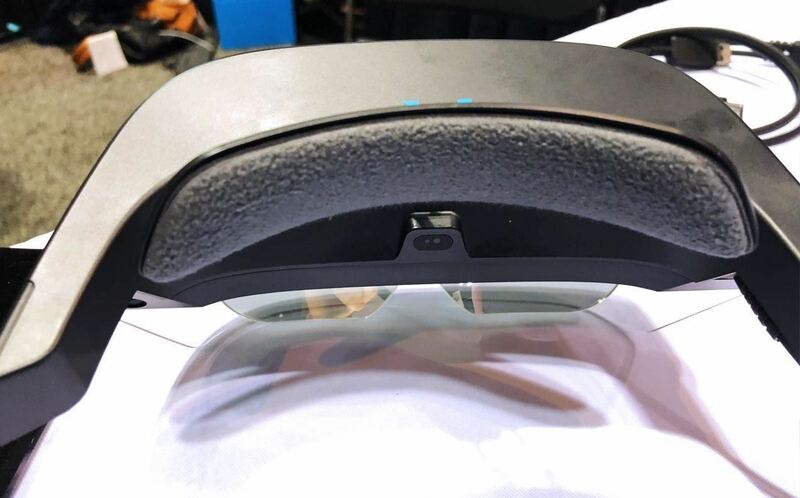 And while the DreamGlass only delivers 3DoF (degrees of freedom), if you focus on a relatively high-performance mobile AR headset solution at a much lower price, there's no reason to hesitate when thinking of DreamGlass. This is a well built device that overcomes its weight.